Details on the current works and projects happening in Gilgandra Shire. Information about recycling and waste collection including opening hours and collection times. Gilgandra Shire Council's Ranger is responsible for ensuring that animals are looked after and are not a nuisance to the public. Find information about your community including services, community radio and cemeteries. 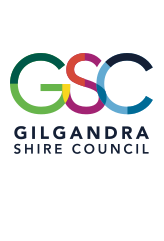 Discover what's happening in Gilgandra Shire, including works and projects, events and venues, and more. Find out information on our Community Care, Aged Care, Disability Care, Youth Services & Homelessness Support Services. Information relating to water, sewerage and drainage in our Shire. Information regarding Council's capital works program for roads and bridges, including sealed and unsealed roads and Gilgandra's Active Transport Strategy.